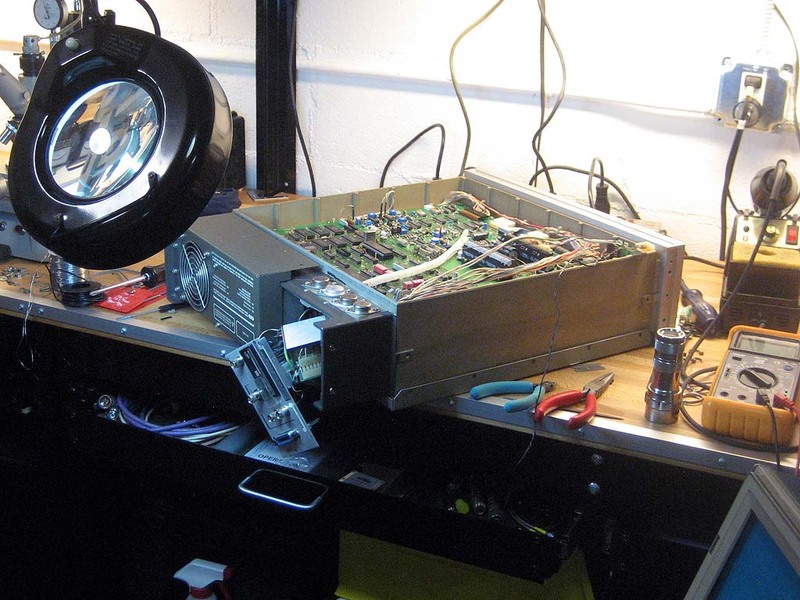 I finished up repairs on the signal generator this weekend and did a brief performance check. I was unable to easily find an axial equivalent for the shorted filter cap so I came up with this arrangement for mounting a nice radial style with screw terminals. I also ordered the R712 diode pack in a TO-3 package, but until they arrive I’m using an NTE diode pack in a TO-220 package. After confirming that everything was running nice and cool and at the correct voltages I let the generator burn in for a day before looking at the ovenized 10 MHz crystal time base. 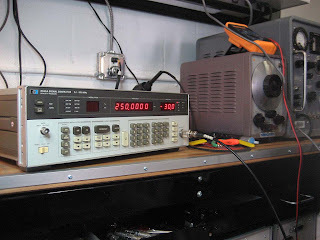 After 24 hours I took my 10 MHz rubidium frequency source and compared then trimmed the 8656A oscillator to match. 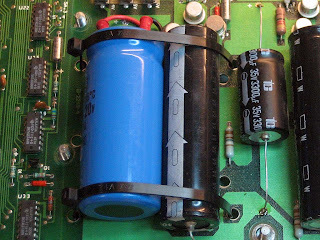 The rubidium source is mounted in an old hard drive enclosure. I added a meter and leds to indicate the status and when the rubidium cell is locked. To keep the operating conditions as true as possible I set the fan back in place after each adjustment. I waited an hour in between each adjustment. Letting it sit for a few more hours I checked in with my HP 8566. This generator looks to be very accurate in both frequency and amplitude accuracy. 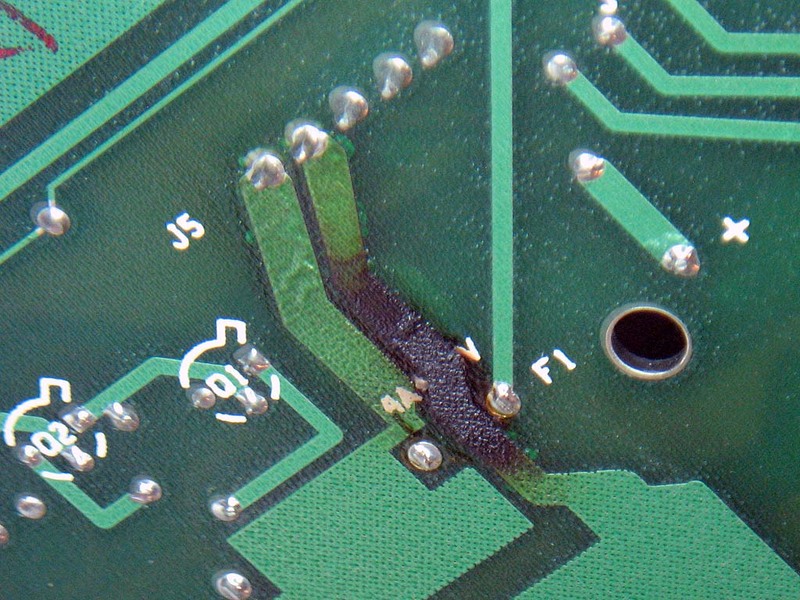 I’ve started to clean up and identify the parts that are bad or damaged. 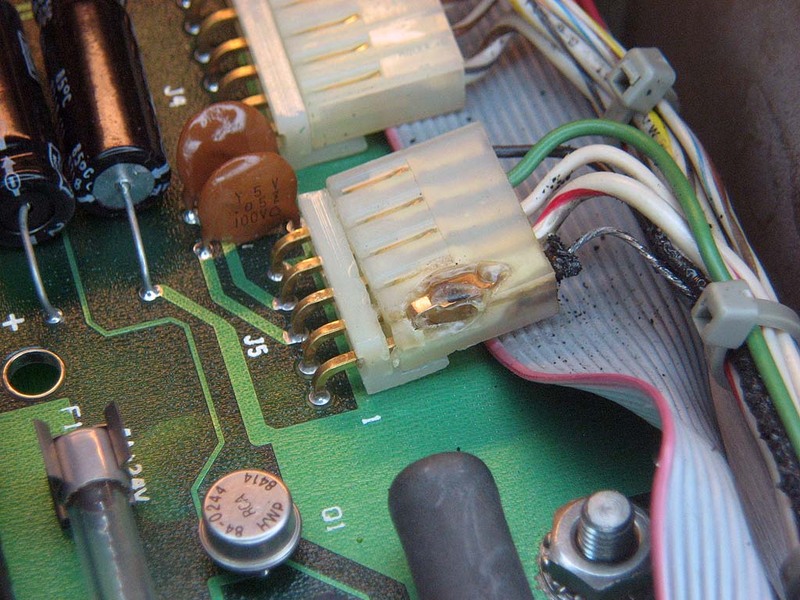 Not only was the Molex J5 on the A10 board melted, but also the far end connector J2 on the A14 board in a compartment in the back of the generator. I was lucky that the ground return wire did not damage adjacent wires in the bundle. 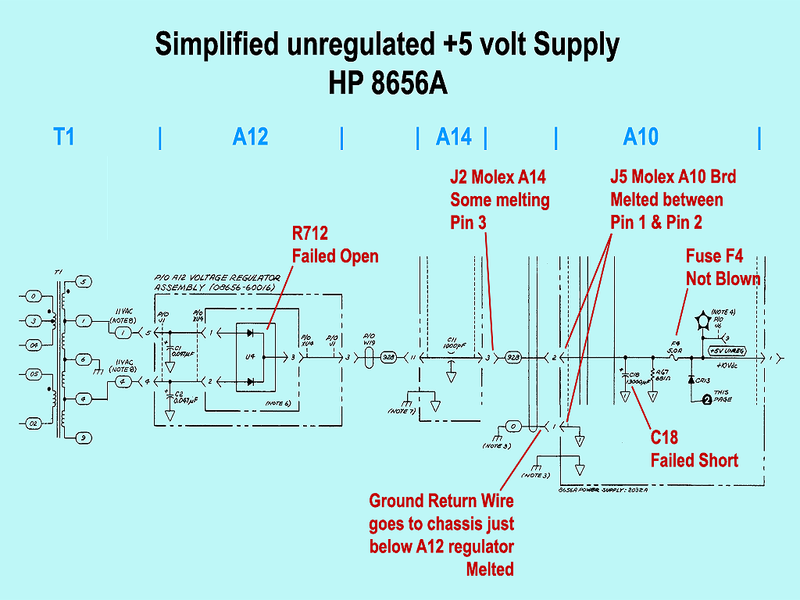 Here is a simplified schematic of the unregulated portion of the +5 volt logic supply detailing the parts that were damaged. 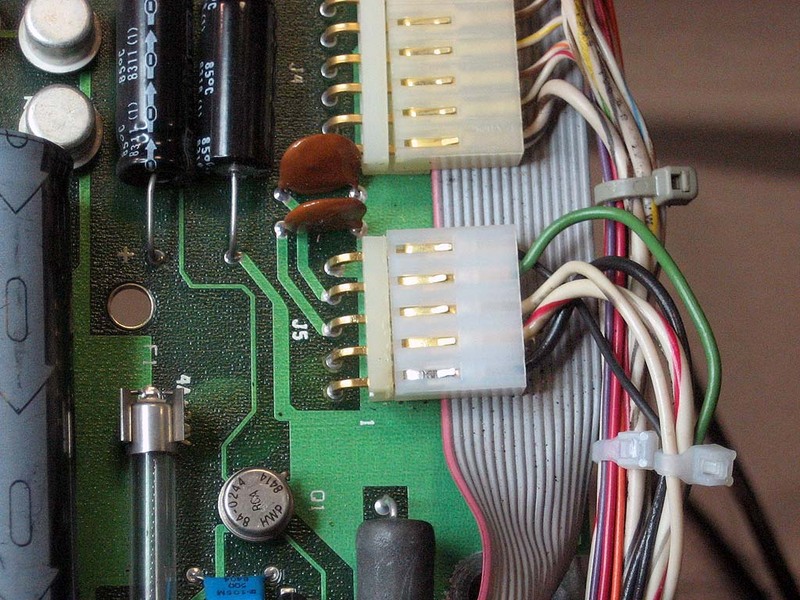 Here is the HP 8656A pulled apart so that the molex connectors and ground wire can be replaced. This picture shows one of the Molex shells after repair. Note that Pin one had to be replaced with a non-HP pin. New ground return wire is back in place and the wire harness is all bundled back together. All the smoke was let out of an HP 8656A RF generator, and I’m currently in the process of trying to get it back into the box. 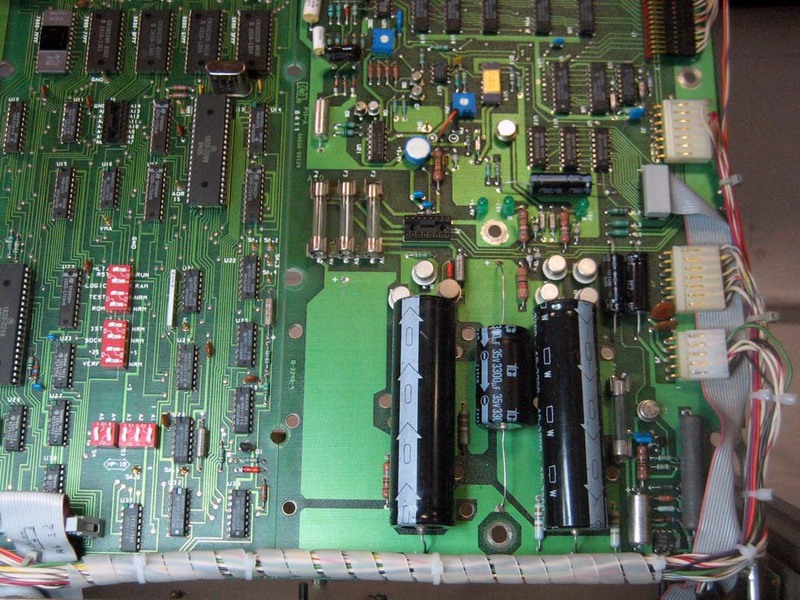 This picture is of J5 on the A10 power supply board where the most significant damage is. This next photo is the underside of the A10 board near the J5 connector. 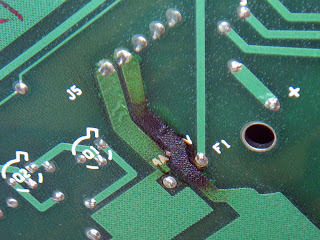 It’s interesting to note that at the topside Pin 1 (GND) had the melted wire while on the bottom of the board Pin 2 (+5V) has the crispy trace. Why do we have 29.97 frame rates, and not just 30?? I get this question quite often, so I thought I would provide the best answer I could including some historical perspective. The short answer is that it is due to making a less expensive and more reliable sound recovery circuit in black and white televisions in the 50s. Here’s why. Radios typically recover information by the nonlinear mixing of the radio frequency energy from the transmitter with that of a local oscillator. The combination of the two signals will produce sum and difference frequencies, also known as high side and low side conversion. The output of that mixer is applied to an IF amplifier that has a tuned bandpass for a single frequency. (IF = Intermediate Frequency). Tuning in the radio is accomplished by changing the frequency of the local oscillator such that the combination of local oscillator plus the transmitting station or local oscillator minus the transmitting station matches the tuned response of the IF amplifier. That way depending on the frequency of the local oscillator, only a single frequency or station can pass though the key-hole that is the IF filter and amplifier. As specified in the early 40s, the NTSC originally had a frame rate of 30 and a line rate of 15,750. Also early in the specification of television it was decided that the picture would be amplitude modulated on one carrier and the sound would be frequency modulated on a second higher frequency carrier separated enough to prevent the two signals from interfering with each other. What this means is that a television essentially needed two radio receivers comprised of two mixers, two local oscillators, two IF amplifiers, and two detectors. One set of circuits for picture, and one set for sound. The difficulty in this scheme is getting the two local oscillators to change frequency exactly the right amount every time the user changed channels. This is further exacerbated by the inherent lack of stability of oscillators at these high frequencies. There were no inexpensive phased lock loops and digital synthesizers in the 50s. 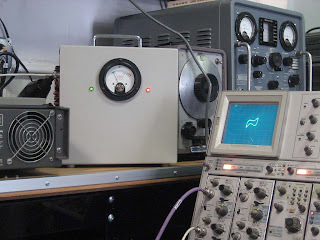 To eliminate the difficulty and expense of building two oscillators that would track each other and not drift apart it was decided that the tolerance of frequency separation could be held more precisely at a single location, the TV transmitter. It was further decided to separate the visual and audio signals by exactly 4.5 MHz. This allowed set manufacturers to design TV sets with inter-carrier sound detection, or a carrier within a carrier. The system worked by using a single local oscillator, mixer and IF amplifier to detect the entire audio/video signal. This means that the ‘baseband video’ at the output of the detector contained the audio at 4.5 MHz as well as the picture. 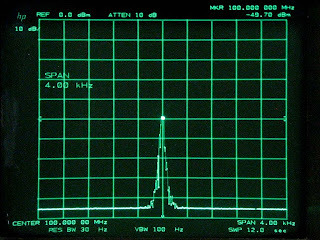 The detected signal was split with one side going to a 4.5 MHz tuned circuit called the ‘sound trap’ to remove the sound carrier from the picture. The other side went directly to a 4.5 MHz IF amplifier where it could be amplified to a usable level, no secondary local oscillator needed. 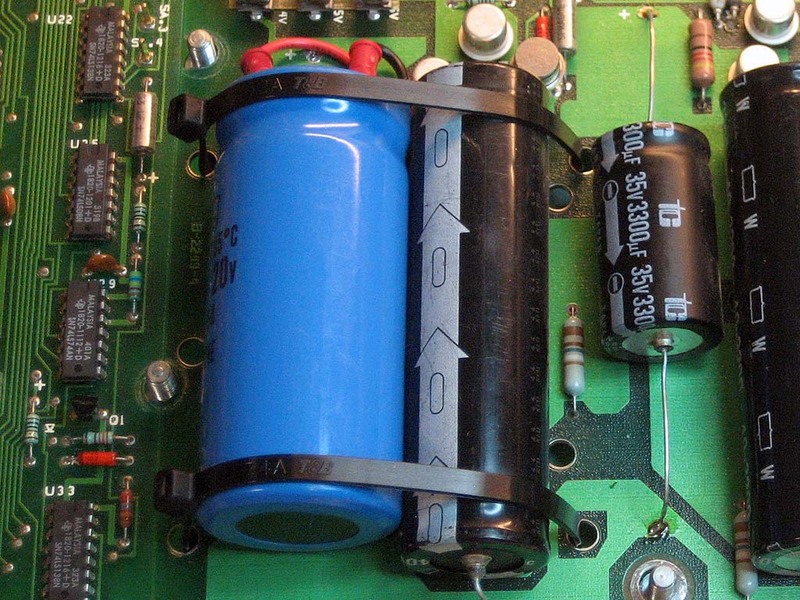 The output of this second IF amplifier could now be fed to an FM discriminator to extract the audio. With the advent of color a third carrier needed to be added to the scheme. This third carrier literally needed to be shoe-horned in between the visual signal and the audio signal. If the frequency of the color carrier were to high it would interfere with the 4.5 MHz sound carrier. If the frequency of the color carrier were to low artifacts would be seen in the picture. Add to this that the color information added to the video signal could not obsolete the installed base of black and white televisions. The decision was made to place the color carrier below the sound carrier and inband of the picture carrier. This is illustrated in figure 1 below. Fig. 1 Relationship between the luminance signal, sound signal and the color subcarrier. Since the frequency of the sound carrier could not change without making the legacy black and white TVs obsolete 4.5 MHz was made to be the 286th harmonic of the horizontal line rate. Using this equation the horizontal rate will be equal to the sound carrier divided by 286. 286 is the closest even number harmonic that will provide a ratio close to the original line rate of 15,750 KHz.  The color sub carrier frequency will need to be in the range of approximately 3.6 Mhz and an odd harmonic of the half horizontal line rate. An odd harmonic that is half of the line frequency is desirable because the color subcarrier is ‘inband’ of the luminance signal, and because an odd harmonic half line rate will have opposite voltage polarities for the picture information on odd and even lines. This method of reducing the interference of the color and luminance signal is known as frequency interlace. 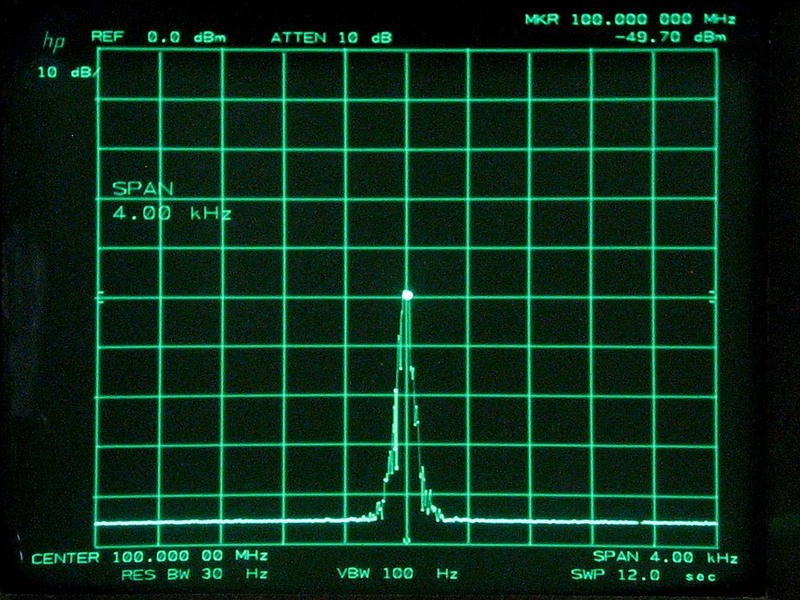 The odd harmonic of the half line frequency closest to the original line rate of 15, 750 KHz would be 457/2. However 457 is a prime number, making it difficult to derive other frequencies such as the horizontal and vertical rate. The next best choice and the harmonic that was ultimately chosen was 455/2. 455 has the prime factors of 5, 7 and 13 making it easier to create frequency divider chains. Again, the equation can be solved for the horizontal rate, but this time as it relates to the color carrier, and the selected harmonic of that carrier. Setting the two equations for the horizontal frequency equal to each other, one in terms of the sound carrier and the other in terms of the color carrier, the yet unknown horizontal rate drops out. Now the color carrier can be solved for and calculated exclusively in terms of the selected harmonics and the implacable 4.5 MHz sound carrier. The Horizontal line rate can now be calculated based on the calculated color rate. Dividing this new line rate into the original line rate gives the ratio of frequency reduction from the original black and white system to the NTSC color standard. Dividing the 1.001 frequency reduction coefficient into the original black and white 30 frames per second gives the color frame rate we are now familiar with.